Well, the grand experiment of the first iPad only newspaper is soon coming to an end. The Daily, published by Rupert Murdoch’s NewsCorp, will be publishing a final farewell issue on December 15 – around two months shy of two years from its launch in the iPad App Store. The Daily has over 100,000 subscribers but appears to have fallen a long way short of its owners’ financial targets – and probably far short of breaking even. Little surprise there though with the early reports that $30 million was spent on it before it even hit the App Store and of a staff of over 100 for the title. I was fascinated with the idea of The Daily the first time I heard about it – but found it disappointing right from the off. That image at the top of this post will likely be the one I most closely associate with The Daily. A blank or out-of-date screen, waiting for a maddeningly slow download of fresh content. Sadly, nearly all the good things about The Daily are difficult to appreciate because of the many severe performance issues that the app has. For starters, it is terribly slow loading. It typically takes 10-15 seconds to launch if it is not downloading new issue content. That’s way too long. Initially the app’s splash screen was interesting to look at, now it is just irritating as the app takes forever to be ready to use. If the app is downloading new issue content – which happens multiple times per day – it takes a horrendous 25-30 seconds to be usable. Incredibly, The Daily never really got this right. It baffles me that they could spend such large sums on the title, carry a hundred person staff, and continually fail to get the basic stuff right. I’ve seen a few people today saying that The Daily failed because of its single platform approach. I think and hope that when it comes to the iPad that may not be true. It is still early days, but it sounds as if Marco Arment’s The Magazine is off to quite a good start as an iPad only title – with a full-time staff of 1 – though I realize The Magazine is about as different to The Daily as anything possibly could be. I think iPad only titles, or maybe more like iPad/tablet first titles, as Jeff Sonderman suggests, still have a lot of potential. If they are done right – and done right means getting the basics right from the start. The basics, for me, start with fast load times (for new issues and between issue updates) and the ability to remember where you left off reading – two things The Daily either never really conquered (load times) or took far too long to get done. 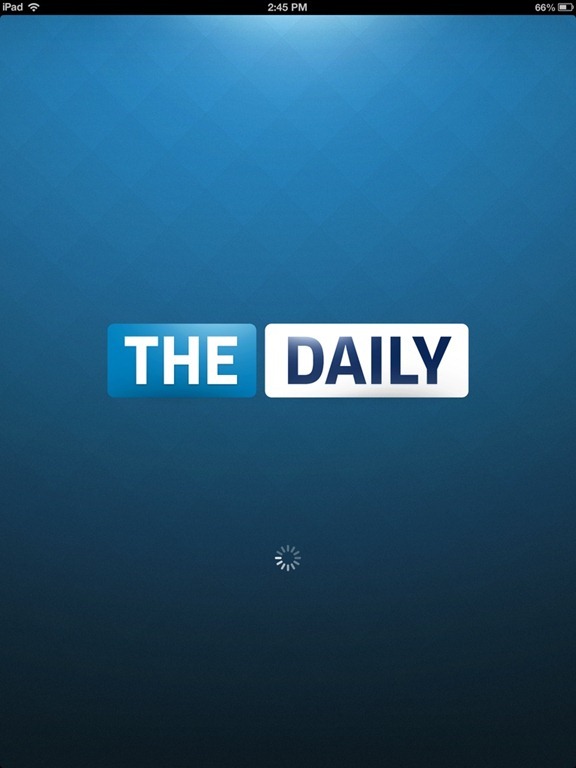 What do you all think of The Daily’s demise? Will you miss it at all? Do you think an iPad-only or iPad first newspaper can succeed? I was a subscriber from day one, but gave up after three months due to performance issues. I considered resubscribing several times, but never did since new reviews always mentioned the same performance issues that drove me away. Yup, it’s a shame they never got those sorted out. I have been a subscriber of The Daily since day one. I, for one, am really going to miss it. It was frusterating at times. The constantly asking “download new content” nearly drove me to unsubscribe. The political slant of The Daily was a little frustrating, but then what do you expect from a Murdoch rag. Ask Coquette is a real gem. The app reviews and tech news was first rate. The Daily had its warts, but was as close to a daily newspaper as I have found on the internet yet. I’m sad to see it go. I didn’t even know it was Murdoch owned but within 15 seconds of launching it I realized it was rightwing POS. Maybe that was the problem?